"The enthusiasm and optimism is pretty staggering. Despite all the quantum leaps in technology, the fact is nothing beats a physical, bricks-and-mortar store to discover books that you didn't know about." --Oren Teicher, CEO of the American Booksellers Association, in a New York Times piece comparing the state of independent bookstores in the U.S., U.K. & Ireland and France. Lerner Publishing Group has bought the assets of Egmont USA from Egmont Publishing International, which in January decided to close its U.S. operations. The purchase involves nearly 100 titles, including books by Ilsa J. Bick, Patrick Jennings, Jon and Pamela Voelkel, Lex Thomas and Len Vlahos. The titles will be folded into Lerner imprints, including Carolrhoda Books, Carolrhoda Lab, Darby Creek and Millbrook Press. "The acquisition of the Egmont USA list shows Lerner's commitment to building an acclaimed trade program," Lerner CEO and publisher Adam Lerner said. 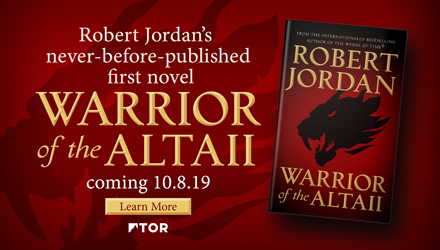 "Egmont's dedication to quality shows in their list of award-winning and bestselling books and we look forward to reaching out to Egmont authors and welcoming them to the Lerner Publishing Group family." Egmont USA will oversee the publication of the eight remaining titles on its 2015 winter list, which will be distributed by Penguin Random House until April 30, at which time Lerner Publishing Group will take over publication and distribution of all Egmont frontlist and backlist titles. Andrea Cascardi, publisher and managing director of Egmont USA, and Margaret Coffee, sales and marketing director of Egmont USA, will remain until April 30 to oversee the transition to Lerner. Alix Reid, former editorial director and v-p at HarperCollins Children's Books, will act as Lerner's editor at large on an interim basis and oversee many of the Egmont titles while Lerner searches for an editorial director of Carolrhoda Books to work in the Minneapolis office. 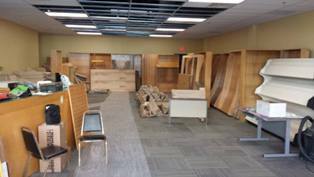 Battle Creek Books in progress. Battle Creek Books aims to open in Battle Creek, Mich., in March and will sell new and used books, according to the Battle Creek Enquirer. The owners are Jim and Ginny Donahue; he is a geriatric specialist who formerly worked at the local Veterans Affairs hospital. The store's 2,000-square-foot space has been rebuilt and includes areas for local authors, children's and YA sections and a used book area in the back. Jim Donahue said he hopes book clubs will meet in the store, and he plans to hold events. The store currently has about 9,000 books in stock. Battle Creek Books is located at 51 W. Michigan Ave., Battle Creek, Mich. 49017-3603. Its future website is battlecreekbooks.com, and the store is on Facebook. 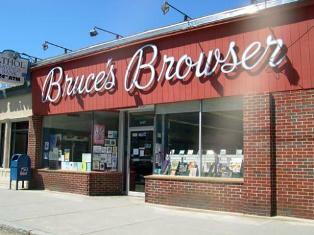 Bruce's Browser & Cyber Café, Athol, Mass., is closing this spring, the Greenfield Recorder reported. Owner Diane Lincoln, who converted her family's pharmacy into a bookstore in 2005, wrote on the store's website: "Book sales have fallen sharply in favor of electronic readers. CDs are being replaced by digital downloads and streaming services. Magazines and newspapers are subscribed online, and our wonderful Hallmark cards are being replaced by e-cards and birthday wishes posted on Facebook, so it's time for me to let this particular vision go and focus on my music career." Lincoln went to pharmacy school and became head of the family's pharmacy, but grew more interested in writing and performing her own music, which she described as electric folk rebellion rock with political and social justice themes. "Health care wasn't fun anymore," she told the Recorder. "I felt like a pawn in a game I didn't want to play, with all of the games going on behind the scenes between the health care industry and pharmaceutical companies, and my music was begging to get out in the world, so I said to heck with it and sold to CVS." Bonnie Slotnick Cookbooks reopened yesterday in its new location at 28 E. Second St. in Manhattan's East Village, DNAinfo reported. The store had to find another space last fall after its West Village landlord refused to renew its lease. "It was terribly, terribly stressful and I empathize with anybody who's going through same thing," said Slotnick, who was offered a new location in Garth and Margo Johnston's building after they heard about her dilemma. "It's really an amazing dream that actually happened. It's something that I wish every small businessperson in the city who's being driven by their landlord could have happen." The new space is "much more conducive to being a bookstore," she added. "The other store was so long and narrow that it was very hard for people to get in there. Sometimes a group of six or seven people would come in and they could not all sit down and they couldn't get past each other." Although there is still work being done at the store, DNAinfo wrote that Slotnick reopened this week because she couldn't wait to see her former customers again and to meet new ones from the neighborhood. "I couldn't stand just sort of doing this in a vacuum. I was afraid almost that I would lose sight of what I was doing," she said. "I want people to see this and come in." Earlier this week, Jeremiah's Vanishing New York got a sneak peek inside the new space, where Slotnick "has spent the winter unpacking, painting shelves glossy white and organizing what has turned out to be a dream bookshop, much larger than the last, complete with a working fireplace ('I'll probably never light it--fire and smoke don't go well with books') and a backyard perfect for book parties." Historical romance author Bertrice Small, whose O'Malley Saga and Skye's Legacy series "are especially beloved," died Tuesday, USA Today reported. Her most recent book, Lucianna, was part of her Silk Merchant's Daughters series. On Twitter, NAL Signet Romance (‏@SignetEclipse) posted: "We are greatly saddened to hear of Bertrice Small's passing. We were proud to be her publisher, & send her family our heartfelt condolences." 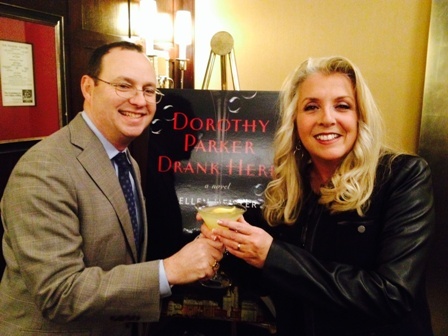 Ellen Meister, author of Dorothy Parker Drank Here (Putnam, February 24) held a launch event Tuesday night at New York City's Algonquin Hotel, the literary landmark where the book is set. The novel reimagines Dorothy Parker as an apparition who's been wandering the hotel for 40 years, hoping to convince a drinking buddy to join her in limbo rather than disappear into the eternal white light. Meister also runs a popular Dorothy Parker Facebook page. Pictured: Meister (r.) with Kevin Fitzpatrick, president of the Dorothy Parker Society and author of The Algonquin Round Table New York: A Historical Guide. Noting the bookstore is "nestled in a Chicago neighborhood known for its diversity, queer-friendliness, women-owned businesses and community spirit" and that it "employs artists, students, writers, political activists and poets," NewsCastic offered "14 reasons why Women & Children First is an awesome bookstore." Touch by Claire North (Orbit Books), from the author of The First Fifteen Lives of Harry August. Today on Fresh Air: Bill Gifford, author of Spring Chicken: Stay Young Forever (or Die Trying) (Grand Central, $27, 9781455527441). Tomorrow morning on Good Morning America: Danielle Steel, author of Prodigal Son: A Novel (Delacorte Press, $28, 9780385343152). A new trailer is out for Insurgent, the Divergent sequel based on Veronica Roth's YA series, Indiewire reported. The movie stars Shailene Woodley, Theo James, Octavia Spencer, Jai Courtney, Ray Stevenson, Zoë Kravitz, Miles Teller, Ansel Elgort, Maggie Q, Mekhi Phifer, Daniel Dae Kim, Naomi Watts and Kate Winslet. Insurgent will be released March 20. A clip, featurette and international trailer have been released for Serena, the adaptation of Ron Rash's novel starring Jennifer Lawrence and Bradley Cooper, Indiewire reported. Serena hits theaters March 27, but will be released to VOD today. 7 p.m. Laura Kipnis, author of Men: Notes from an Ongoing Investigation (Metropolitan, $25, 9781627791878). 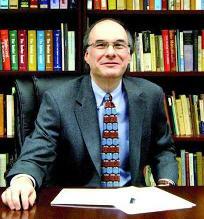 7:30 p.m. Randy Boyagoda, author of Richard John Neuhaus: A Life in the Public Square (Image, $30, 9780307953964). 7:45 p.m. Johann Hari, author of Chasing the Scream: The First and Last Days of the War on Drugs (Bloomsbury, $27, 9781620408902). 10 p.m. Amy-Lee Goodman, author of The Meaty Truth: Why Our Food Is Destroying Our Health and Environment--and Who Is Responsible (Skyhorse, $24.95, 9781629144276). 11 p.m. Van Hipp, author of The New Terrorism: How to Fight It and Defeat It (Countinghouse Press, $27.50, 9780991110209). Since founding Weinstein Books five years ago with his brother, Bob, Harvey Weinstein--the original publisher via Miramax Books of Percy Jackson and the Olympians by Rick Riordan and Artemis Fowl by Eoin Colfer--has not published any YA titles. During that time, he's waited to find a book like those blockbusters. But now he thinks he's found the YA/crossover hit he's been looking for: The Haunting of Sunshine Girl by Paige McKenzie, which will be published March 24. The book is based in part on The Haunting of Sunshine YouTube channel that McKenzie, who is 20, started when she was 16. The channel's many two-minute episodes of ghost videos have received more than 100 million page views and it has more than 150,000 subscribers. Already, he added, many bookstores and librarians are enthusiastic about the book, which has gotten blurbs from R.L. Stine and Wes Craven. Powell's Books in McKenzie's hometown of Portland, Ore., has selected The Haunting of Sunshine Girl as a "New Favorite," meaning that the book will be displayed prominently in all Powell's stores, featured on its website and newsletters, and be discounted 30%. Many California stores are also supporting it, including Vroman's, Pasadena; Chaucer's, Santa Barbara; Skylight, Los Angeles; and Books Inc. in the Bay Area. McKenzie has already begun promoting the book. She appeared this week on the Today Show and Morning Joe and has been to the Pacific Northwest Booksellers Association, Northern California Independent Booksellers Association and, most recently, the National Council of Teachers of English shows. On pub date, March 24, Annie Bloom's Books in Portland is hosting a launch event; then McKenzie goes to Powell's on March 25, and University Bookstore in Seattle, Wash., on March 27. She'll also be at the ABA Children's Institute in Pasadena, Calif., April 20; on a panel at the Texas Library Conference in April; and at the ALA annual conference in San Francisco, Calif., in June. She'll also visit New York and Connecticut. Angie Estes won Claremont Graduate University's $100,000 Kingsley Tufts Poetry Award for her collection Enchantée. In addition, Brandon Som won the $10,000 Kate Tufts Discovery Award for The Tribute Horse. Both writers will be honored at an awards ceremony April 16. Of Things Gone Astray: A Novel by Janina Matthewson (The Friday Project, $19.99, 9780007562473). "In London, a group of people have lost that which they hold most dear. A girl stands in the airport waiting for her lover while her feet turn to roots and her skin to bark. A recluse loses the front wall of her home, while a workaholic cannot find his office building. Piano keys, a sense of direction, and a boy's relationship with his father all have gone astray. Slowly, each victim adapts, unwittingly helping one another during the briefest encounters. Each loss is heartbreaking and each character's struggle to survive is inspiring. With stunning prose and insight, Matthewson uses magic to illuminate truth in this hauntingly beautiful debut novel." --Amelia Stymacks, Northshire Bookstore, Saratoga Springs, N.Y. Single, Carefree, Mellow: Stories by Katherine Heiny (Knopf, $23.95, 9780385353632). "Single, Carefree, Mellow is a very special debut collection from an author with a voice that is both interesting and unique. Heiny often takes the perspective of women that, in real life, one would be cheering against and yet for whom readers will end up having much sympathy. Her characters are like nice mean girls with wicked senses of humor, lost, in many ways, like the rest of us." --Pam Cady, University Book Store, Seattle, Wash. The Transcriptionist: A Novel by Amy Rowland (Algonquin, $14.95, 9781616204501). "Lena works as a transcriptionist for The Record, a major newspaper based in New York City. Her job is to transcribe reporters' stories and interviews in preparation for publication. Her life is a quiet one, full of other people's voices. The reader is drawn into Lena's isolated life where she's haunted by the brutal stories she records every day, as well as memories of her childhood. This is a thoughtful, ultimately hopeful novel about the degree of tenderness we bring to the millions of fine details about other people's lives we encounter every day." --Julie Wernersbach, BookPeople, Austin, Tex. Maple & Willow Together by Lori Nichols (Nancy Paulsen, $16.99, 9780399162831). "After falling in love with little Maple, readers have the pleasure of meeting her baby sister, Willow, and seeing them grow up together and act just like real sisters--lots of imagination, little disagreements, a few arguments, and then a whole lot of making up. This story had me smiling and holding both of my own little girls close as we read it over and over. Absolutely precious." --Beth Page, Auntie's Bookstore, Spokane, Wash.
Live Right and Find Happiness (Although Beer is Much Faster): Life Lessons and Other Ravings from Dave Barry by Dave Barry (Putnam, $26.95, 9780399165955) is a humorous memoir. The Assassin by Clive Cussler and Justin Scott (Putnam, $28.95, 9780399171758) is book eight in the Isaac Bell series. Leaving Berlin: A Novel by Joseph Kanon (Atria, $27, 9781476704647) takes place in 1949 in East Berlin, where a Jewish writer who had fled the Nazis returns from the U.S.--and reluctantly works for the CIA. Sisters of Shiloh by Kathy and Becky Hepinstall (Houghton Mifflin Harcourt, $24, 9780544400009) focuses on two sisters who disguise themselves as men to join the Confederate Army during the Civil War. The Fifth Gospel: A Novel by Ian Caldwell (Simon & Schuster, $25.99, 9781451694147) follows two Vatican priests investigating a murder tied to Christian history. Mrs. Grant and Madame Jule by Jennifer Chiaverini (Dutton, $26.95, 9780525954293) features the wife of Ulysses S. Grant and her slave. The End of College: Creating the Future of Learning and the University of Everywhere by Kevin Carey (Riverhead, $27.95, 9781594632051) explores the impacts of free online higher education. The Shred Diet Cookbook by Ian K. Smith (St. Martin's Press, $27.99, 9781250061218) is a dieting cookbook. Roger White, a painter and cofounder of the art journal Paper Monument, is well positioned to tackle the contemporary art world in "all of its exhilarating, self-contradictory sprawl." The six chapters of The Contemporaries "echo, amplify, and argue with one another." As a result, we're given an articulate and smart take on the recent history of art-making and a glimpse at where it might take us. White notes that around the turn of the millennium, contemporary art was exploding in all kinds of directions, only to fall into hard times a few years later. In an effort to learn more, he goes to the prestigious Rhode Island School of Design to see firsthand the economics and value of young artists who pursue an MFA degree. In New York, he visits studio artists (the sort that have been around since the Renaissance) who work hard to produce a "master's" work. This includes the studio of the "widely successful multimedia artist" Jeff Koons, one of the biggest employers of studio assistants in New York. In Milwaukee, Wis., he investigates the "politics of localism in contemporary art" in an environment far more affordable than the major art cities. White then focuses on the works of three artists. The painter Dana Schutz is one of the most celebrated in recent years. Her oil painting Sneeze--a depiction of a woman expelling a stream of mucousy paint out of her upturned, slightly piggy nose--fetched $245,000 in 2002. Schutz's work addresses the question of how painting, the most traditional of artistic media, can "represent current events in the age of digital communication." White calls Mary Walling Blackburn's work "uncategorizable." Comprising performance, video, sculpture and dance, her artwork directly challenges its audience. Her 2011 installation piece Library for (the land of f**k) was a crude, A-frame, pup-tent-like shelter, in which she read from various works (the Bible, Kafka); patrons could stop by and ask her questions via a microphone. White ends with Stephen Kaltenbach, a once-popular conceptual artist known for his "time capsules," who left the art world in 1970 to teach at California State University, Sacramento. He returned 35 years later to become a very "regional artist," focusing on lush paintings and decorative public sculptures. Shelf Talker: An insider offers an informative and sprightly assessment of how contemporary artists try to become successful and where the art world is headed.